Welcome to my site! 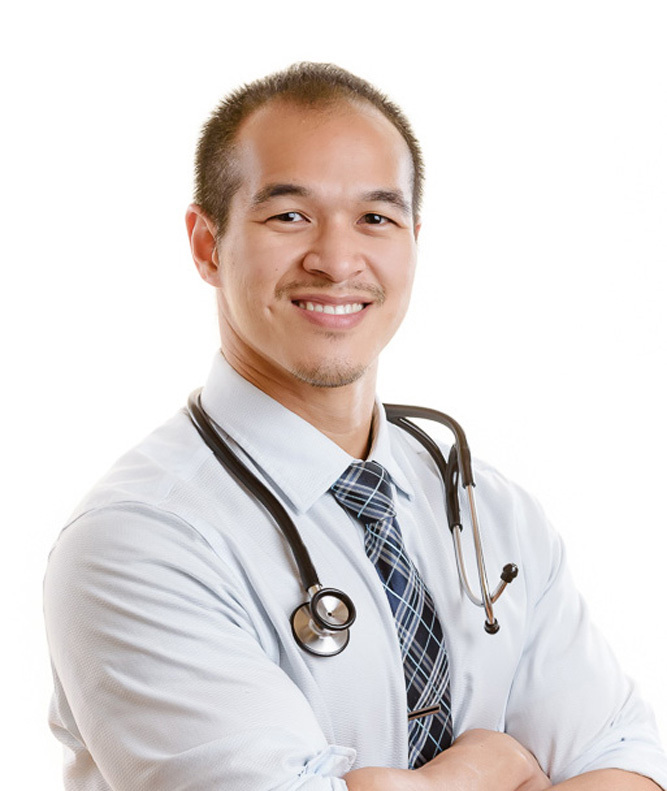 My name is Dr. Benji Ho and I am a family physician from Macon, Georgia. As an undergraduate, I studied architecture and linguistics at Washington University in St. Louis. However, I was not completely satisfied with settling down for a career in either of these fields, and after some soul-searching and wonderful experiences volunteering at a clinic, I realized that medicine is the right path for me. It is the perfect avenue to combine my desire to take care of others, my love of science, and my enthusiasm for problem solving, and the knowledge and skills I would gain are so practical for maintaining everyday well-being for me and my family. Afterwards, I studied pre-medicine as a post-baccalaureate student at the University of Georgia. These few years were very exciting as I conducted three years of research in the Department of Cell Biology, volunteered at a regional hospital, shadowed doctors, and worked in an animal research facility. In addition, I volunteered regularly for Habitat for Humanity for one year, accompanied piano for a choir class for two years, and played keyboard in several musicals for local theaters. In 2013, I earned my M.D. degree from the American University of the Caribbean (AUC), located on the beautiful Caribbean island of St. Maarten. During my time at AUC, I served my community as a Class Representative, Orientation Advisor, SGA Historian, as well as a Head Teaching Assistant and Professional Dissector in the anatomy lab. I feel grateful to have had the opportunity to experience the vast field of medicine around the world during my time at AUC, completing my clinical rotations in Florida, New York, and the UK. I can’t imagine a more enriching educational journey. I completed my residency at Mercer University School of Medicine / Navicent Health Family Medicine Residency Program, in my hometown of Macon, Georgia, and worked with a wonderful team of faculty, staff, and residents. During residency, I was a clinical instructor for medical students at Mercer University, and participated in community sports physicals as well as volunteered at the Macon Volunteer Clinic. Today, I am a board-certified family physician, practicing outpatient family medicine in Macon, Georgia with my wife, Irene, who is a Physician Assistant. Together, we serve our community at Family Care of Middle Georgia. I originally created this blog to document my experiences as a medical student, helping me organize all the thoughts that I may have along the way, and to connect with my friends and family back home. However, this site has grown to become much more than that, extending beyond my time in the Caribbean, or even as a med student. Nevertheless, as a doctor, I will never stop learning, improving my trade as I help my patients, and as an AUC alumnus, the Caribbean will always have a special place in my heart. And so the title of this blog stays. I hope you enjoy my site as I share with you this exciting and challenging journey in my life. Please leave any comments or questions that you may have and thank you for visiting Diary of a Caribbean Med Student! Sir plz tell me about John f Kennedy school of medicine curacao? Hi Mods, I cannot testify to the experience students get there, but from what I know, it’s a new school, it’s a small school, and it’s not accredited. As of now, if you attend JFK, you can still sit for the USMLEs and get your ECFMG certificate to practice in the US. However, if the school does not get properly accredited by 2023, its students will not be able to do so. JFK has a charter and a directory listing – neither of these are accreditation, which can only be done by an accrediting agency like CAAM-HP. Getting CAAM-HP accreditation is the most vital thing the school needs to achieve in order to survive as a school beyond 2023. Hi Mods, you are right in that CAAM-HP never gives permanent accreditation, and neither does ACCM or LCME or most other credible accrediting agencies. Accreditation is never permanent. Even the LCME that accredits US medical schools grants accreditation for a max of 8 years before another site visit is required.